Courts Open Day: Parole: You Decide! Learn how the Adult Parole Board makes its decisions at this mock trial event. 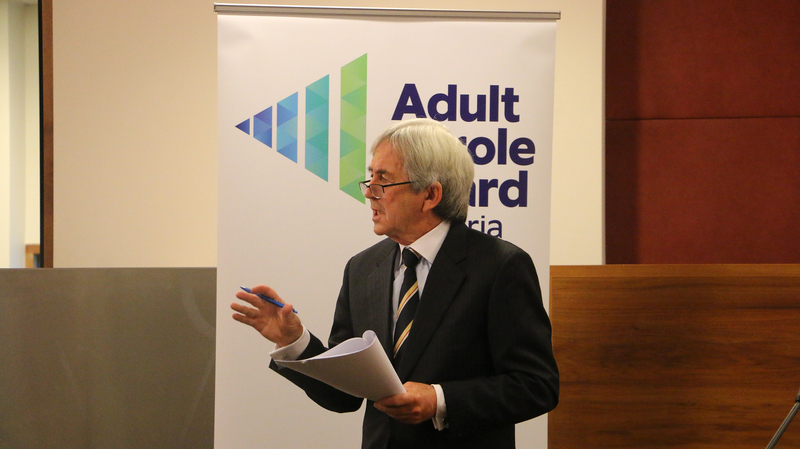 Presented by His Honour Peter Couzens, Chairperson of the Board, this event lifts the curtain on the Parole Board’s decision making process. Audiences will discover what information the Board has access to and what factors it considers when deciding to grant or deny parole. The mock parole hearing follows the story of a prisoner from sentencing to parole application — at the end of the hearing, the audience will get to weigh in on whether or not the prisoner should be granted parole. An expert panel including three Board members — a judicial member, a community member and a full-time member — will oversee the mock hearing. Presented by Adult Parole Board.